Its with great sadness that PC/OpenSystems LLC learns of the death of Ian Murdock. 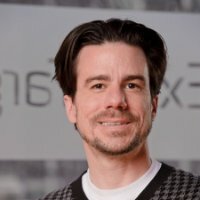 The PC/OpenSystems team would like to extend is condolences and prayers to the family of Ian Murdock. Aside from being a friend, mentor and an all around good guy. He was the father of the Debian project and contributed much to the Open Source movement in general. He was a great guy and he will be missed. Rest In Peace my friend.